Hey there! I’m Bob Pusateri, a consultant and architect specializing on the Microsoft Data Platform, specifically SQL Server and Azure Cosmos DB. I’m one of the very few Microsoft Certified Masters of SQL Server, and the youngest person ever to earn this certification. I’m an active speaker, blogger, author, user group leader, and event organizer in the SQL Server community. I’m one of the lead organizers for SQL Saturday Chicago, currently a co-leader of the PASS HADR Virtual Chapter, and past leader of the Chicago SQL Server User Group. I am also the founder and president of the Chicago SQL Association, a 501(c)(3) not-for-profit dedicated to providing free training opportunities on the Microsoft Data Platform in the Chicagoland area. My first experience with a database dates back to around 1993, when I remember trying to figure out the difference between “spreadsheet” and “database” in Microsoft Works. I later graduated to Microsoft Access and started selling software written with it while in high school. In college, I began working with Visual FoxPro, and then the Microsoft Data Engine (MSDE), which led me to SQL Server and where I am today. 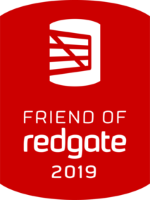 I’m proud to be a Microsoft Certified Master of SQL Server and a Friend of Redgate. I’m also a past co-chapter leader of the Chicago SQL Server User Group for 4 years, and current leader of the PASS HADR Virtual Chapter. I’m the founder and president of the Chicago SQL Association, and a lead organizer of SQL Saturday Chicago 2012, SQL Saturday Chicago 2013, SQL Saturday Chicago 2014, SQL Saturday Chicago 2016, SQL Saturday Chicago 2017, SQL Saturday Chicago 2018, and SQL Saturday Chicago 2019. For a complete list of my community activities, check out my community page. What about disclaimers and copyrights? They’re a necessity, but I do my best to keep them short and sweet. Here goes! You’re free to copy, distribute, and transmit my work. You must attribute my work in the manner specified by me (but not in any way that suggests that I endorse you or your use of my work). You may not use my work for commercial purposes without my express written permission. You may not alter, transform, or build upon my work without my express written permission.